Did you know polyphenols in green tea may help maintain the parts of the brain that regulate learning and memory? It’s true. That's just one of the many benefits this centuries-old brew offers its drinkers. More and more research suggest that coffee has just as many health benefits as its sister brew, tea. In fact, some of the benefits are big. Like, protecting people from diabetes, Parkinson’s disease, liver cancer, and promoting heart health. The amount of tasks, time, and things people try to manage in their every day lives are staggering. A large part of tacking to-do lists and getting through work or school days is the presence of routine. Setting alarms, preparing clothing, bags, lunches, work, etc., and grabbing a cup of coffee on the way out the door are all part of the preparedness. The workforce is changing. The “coffee meeting” is a real thing. Meeting for coffee is a low-risk way to meet new people, share feedback, pitch ideas, or break news. Taking these meetings outside traditional settings just sets a different tone, offering a more casual, laid-back approach to the standard meet and greet. Where there is coffee; there is guaranteed people. There is more to hot beverages than tea and coffee; hot chocolate is still a cup of comfort and even this decadent treat offers its own benefits. Chocolate contains antioxidants – and by drinking chocolate in a warm state, even more antioxidants are released. By offering people more than the expected water or soda when they are on site, you’re naturally extending a courtesy or welcoming hello. If your building or office is typically prone to stressful situations or conversations – say you’re a government building, bankruptcy firm, or social services office – even offering a simple cup of coffee will help ease the tension and forge positive engagement. ...unless you’re not there. The average American spends nearly nine hours working or doing related activities. That means while they’re not at home to enjoy those comforts, they can (and will) seek those same comforts out in convenient offerings in their days. The convenience. Taste. Its evolutionary product line. The reasons this little giant of self-serve coffee, tea, hot chocolate, and even cider has done so well is because single cup brewers have is something for everyone. People like variety. They like options. Your building occupants, employees, or residents will feel extra special when they have daily access to the kind of hot beverages they know and love. Being offered a cup of coffee at a car dealership is a decades-old practice in customer service and sales strategy. No one is going to (safely) chug a cup of hot coffee or tea while running out the door. The extension of the offer means, Sit. Stay awhile. We live in a fast-paced world and sometimes, it seems like it’s been forever since we sat down for a real, face-to-face conversation with someone. 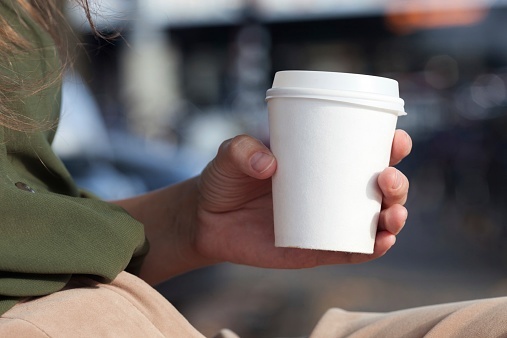 Whether it’s business or personal, adding a hot beverage to that scenario is always a win. About 83 percent of adults drink coffee in the U.S. That’s an average of three cups per day, per person, or 587 million cups. If you aren’t a place that offers coffee or other hot beverages, this is proof people will find it elsewhere.